Fixed braces, often also referred to as traditional metal braces are the most common type of braces. For many years they had a reputation for being uncomfortable and cumbersome. Today’s braces are more comfortable than ever before. Made using high-grade stainless steel, metal braces straighten your teeth using metal brackets and archwires. Today’s brackets are much smaller and less noticeable than the notorious “metal-mouth” braces than many adults remember. Fixed braces are often referred to as ‘train track’ braces. 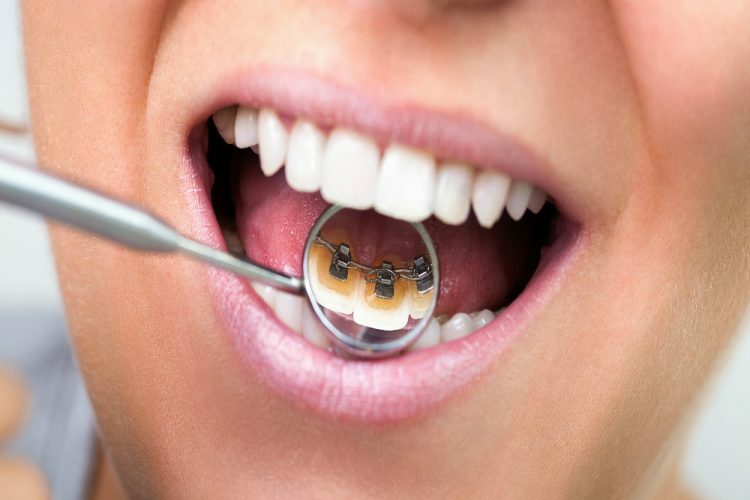 The orthodontist attaches metal or tooth-coloured brackets to the teeth that are being realigned. The next step is to run a special wire over the brackets to pull the teeth into the right position. Because the brackets are adhered to the teeth, patients won’t be able to take the braces off during the course of treatment. Ceramic braces are the same size and shape as metal braces. They have tooth-coloured or clear brackets that blend in with the natural colour of the teeth. 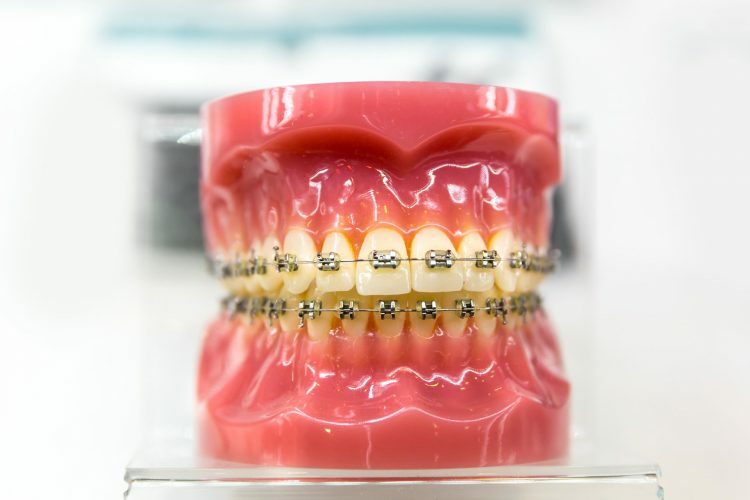 The primary difference between ceramic and traditional braces relates to the type of orthodontic brackets that are bonded to the patient’s teeth. With ceramic braces, the brackets are clear or tooth-coloured, not metal. With both methods, there’s still a metal wire that runs across the patient’s teeth and is held in place using elastic bands. 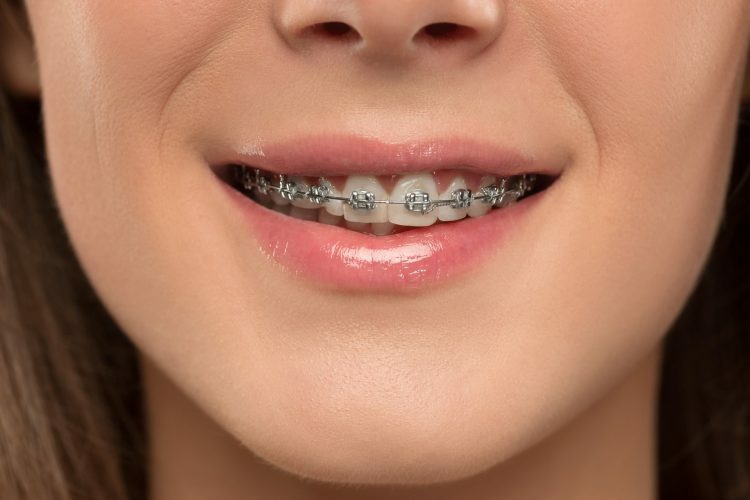 This difference in the colour of the brackets really does help to make it less obvious to others that a person is wearing braces, especially from a distance. What conditions can fixed braces treat? Orthodontic solutions are needed when patients have a need to improve the overall appearance and functionality of their teeth. 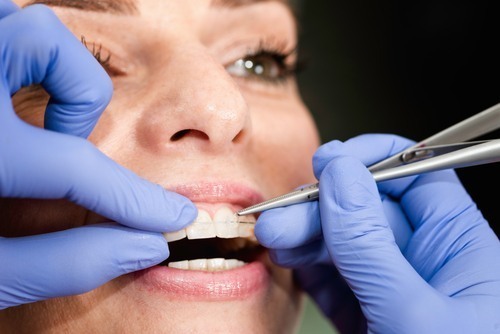 Teeth braces can treat crooked or crowded teeth, under bites, overbites, and gaps between teeth. Orthodontic treatments can also be used to treat more serious concerns like disorders of the jaw joins and incorrect jaw positioning. The best way to determine which solution is best to meet your unique dental and orthodontic needs is to discuss your oral health with your orthodontist at your consultation. What are some other teeth straightening solutions? Traditional fixed braces remain the most popular in orthodontic solutions. There are several other options available to patients looking to get that beautiful straight smile. 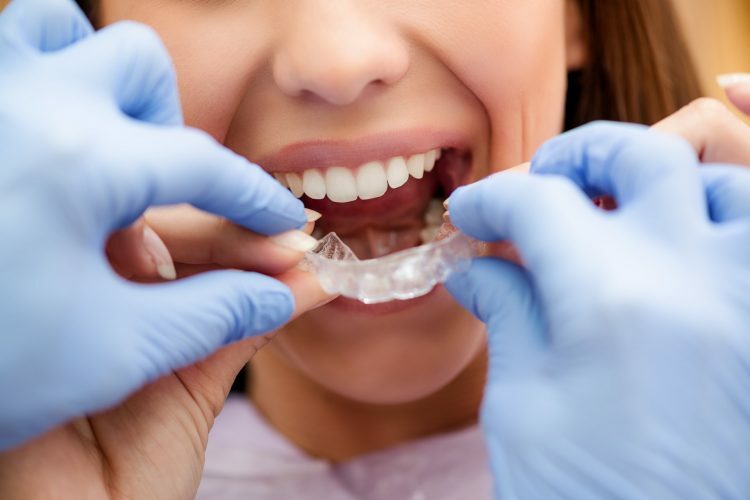 The Invisalign tray system is an option for those looking for a more gradual and graduated solution to straightening teeth. 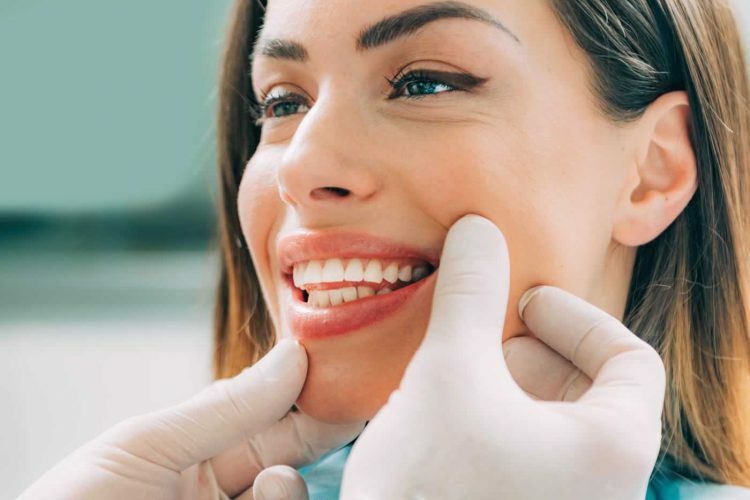 This orthodontic solution is a much more discreet solution for patients who perhaps aren’t all that enthused about having very visible braces for more than a year at a time. 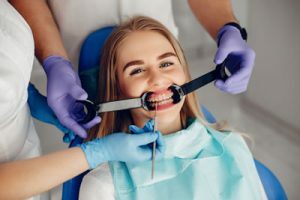 What is the procedure for getting fixed braces? Prior to being fitted with your braces your dentist will need to ensure that your teeth are in good healthy shape. 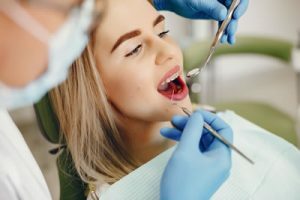 This could mean taking care of any fillings that are needed, performing root canal therapy or extracting teeth that have otherwise been contributing to overcrowding in the mouth. Once this has been taken care of, you’ll be ready for the braces to be affixed to your teeth. The entire procedure should take just one visit and you’ll be able to resume your day. Those who have new metal or ceramic braces are encouraged to alter their diet temporarily. There should be no pain during the procedure and there should be no pain once the braces are in place. There may however be a little bit of sensitivity and tenderness as patients adjust to the sensation of the new braces. Adjusting a diet to include softer foods can also help to ensure that the tenderness is minimised. What are the advantages and disadvantages of fixed braces? Perhaps one of the best advantages to fixed braces is that they are exceptionally effective at resolving a number of orthodontic concerns. They may take a bit longer than some other orthodontic solutions but they can treat a wider range of concerns. For those who are looking for purely cosmetic solutions, some of the other orthodontic options might be the better option. Fixed braces are very visible. This can be quite concerning to teenagers and even adults who perhaps don’t want a mouth of visible braces. The ceramic braces do offer a more discreet alternative to their metal counterparts. Fixed braces are amongst the most affordable in orthodontic options. This makes them an attractive option for patients of all ages. How much do fixed braces cost? At Crown Dental we have many years of solid experience helping our patients get those beautiful straight smiles. We offer a wide range of dental treatments, with very competitive pricing plans at our clinic. If you are looking for fixed braces, you’ve come to the right place. Take a look at our prices listed below or call our clinic to book your appointment. Are you ready to get a beautiful straight smile?
? Is your child or teenager a good candidate for fixed braces? Book an appointment online or call our clinic at (01) 490 4656.